Before you even had the chance to grind those ugly zombies to bits in Left4Dead, or indulge in the action-packed offerings of Team Fortress 2, Battlefield 1942 was the king of the multiplayer shooter genre. That was in 2002, back when Lindsay Lohan was still considered genuinely hot by the general populace. 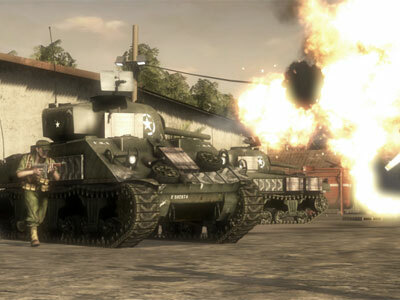 It’s long-awaited sequel, Battlefield 1943, finally reports to active duty this year. A step up in its graphics is obviously apparent; it’s been seven long years, after all, and if these couldn’t at the very least keep up with the times, we would have shot this game to hell faster than you can say “pie hole.” The environment packs a lot of details, the characters are crisply rendered, and the explosions and gun flares, satisfyingly zingy.